The great wisdom traditions tell us that who we truly are is spirit, that "if you can't find God, you moved". That is, we can never really lose the deep peace, stillness, and clarity that we seek with spiritual practice - but we can lose sight of it amidst the distractions of modern life. The journey to an abiding awareness of our spiritual selves is a complex process that looks different for everyone, but at its core, it is about becoming more present, and therefore more conscious. When we are present, we have more clarity about our life situation, and more freedom of choice in how to respond. More than anything, becoming more present requires practice. 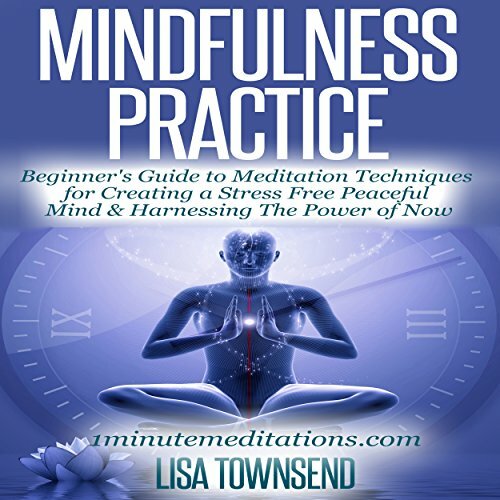 In Mindfulness Practice we'll explore a variety of simple, tried-and-true techniques that can bring you greater clarity and peace in one minute or less. They represent a diverse range of traditions and philosophies, yet all share a common core: the ability to take your mind from frazzled to fresh, from stressed to settled, in less than 60 seconds.